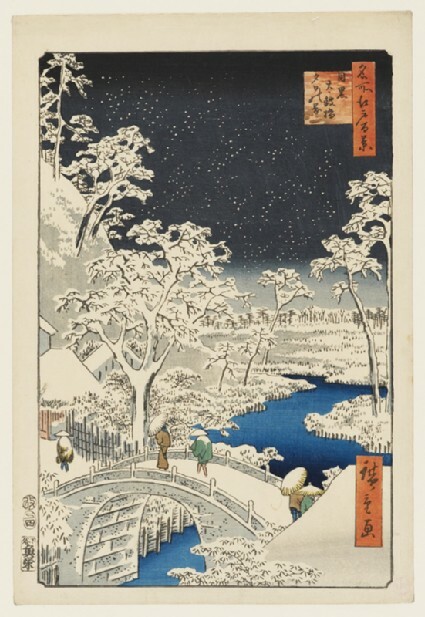 A particularly successful print of a lonely snow scene, the areas of the snow on the branches and elsewhere simply left in the white, as would have been done by a contemporary Shijo-school painter. The rounded stone bridge in this winter landscape was known as the ‘Drum Bridge at Meguro’, because of its shape. It was close to a temple that was a popular destination for visitors around New Year’s Day. 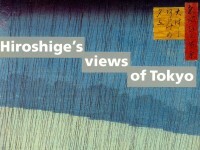 Perhaps this is Hiroshige’s reason for showing it in the snow.